Right in the middle of Woody Allen’s most artistically fertile period came Hannah and Her Sisters, and if it didn’t bring the funny floppy hats like Annie Hall, it has since come to represent everything this filmmaker did well. Here was Allen’s Gotham, not romanticized in Manhattan’s chiaroscuro, but stripped down to a natural, multiseasoned beauty. (The pop-Bergman thing was finally beginning to work.) Quiet used-book stores were good for flirting. Dates unspooled against the punk squall at CBGB or Bobby Short at the Carlyle Club—sometimes both. If you weren’t already a resident, Hannah was your passport. And here, unforgettably, were women. It’s lost in Woody’s current ScarJo phase how beautifully he could write a part and tap into real sisterly neurosis. 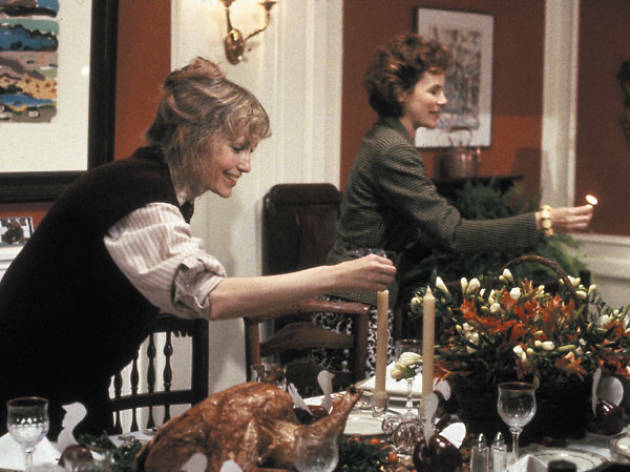 The trio at the heart of Hannah—Mia Farrow’s “perfect” wife, Barbara Hershey’s arty seeker and (most lovably) Dianne Wiest’s desperate fuckup—is Allen’s Chekhovian high point. Men drift into view, particularly cheater Michael Caine, but the women are virtually their own solar system, torn by a gravity that makes their career and love problems feel like symptoms of a greater challenge: family. Hannah is the New York of competitive living and, as such, it’s as true a city portrait as they come.